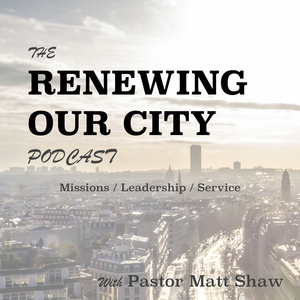 We found 1 episode of Renewing Our City with the tag “creation”. This episode features Fledge Fiamingo, founder of Son Safaris, a ministry that connects people with Gods Creation, through his creation. We discuss lessons we can learn from the African Safari, thoughts on racism in South Africa in the early 90s and how the people of God can be a light today, and discipline people through delegation.